Chinese New Year 2019 begins on Tuesday 5 February, ushering in ‘The Year of the Pig’ and a two-week long Spring Festival celebrating family, prosperity and good fortune. It’s also a particularly busy travel period in the regions that recognise the Lunar New Year, including China, Taiwan, Korea, Japan and Vietnam. Chinese New Year always poses some challenges to business travellers, but at the same time it provides opportunities to strengthen your ties with customers and contacts. Here is our guide to doing business during Chinese New Year 2019. Flights between Asia and Australia will be particularly full in both directions, especially a week before and after the actual date of Chinese New Year as families reconnect across the world. This means allowing extra time to get to airports, as traffic can get very congested in larger Asian cities, and accepting that your upgrade request or a search for last-minute points-based reward seats has little chance of coming through. 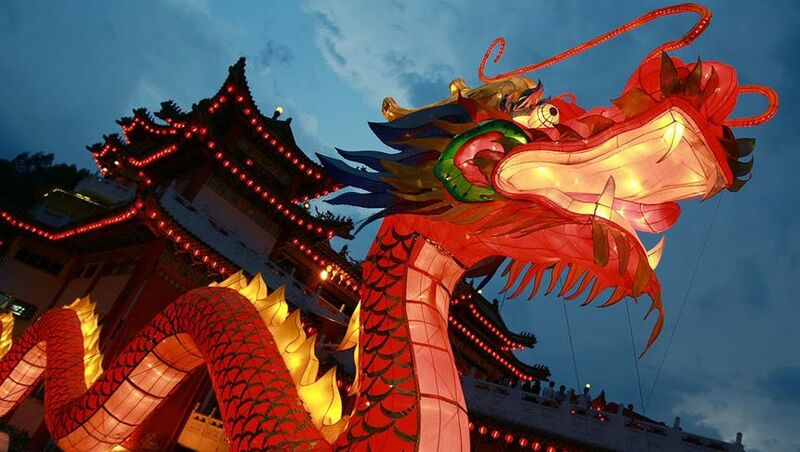 If you plan on travelling to or through Asia during the Spring Festival it pays to book as early as possible – and that ship has well and truly sailed for Chinese New Year 2019. However, it’s never too early to start planning for the next one. 2020's Chinese New Year falls even earlier – on January 25 2020 – so those flights will start coming online across February 2019 depending on the airline. Our advice is to get your dates sorted now and be the first to swoop in when bookings (including award seats) open up. Chinese culture is very centred around superstition and respect, so it pays to be familiar with the ins and outs when doing business in China. First up, there won’t be much business to do during the two-week festivities, as many staff will be away with their families. If you're meeting up with a contact, be sure to wish them a happy Chinese New Year and show that you respect their customs and traditions. There are two simple phrases you can learn to wish Mandarin-speaking people a happy new year. Gong Xi Fa Chai (pronounced gong-shee-far-chai) translates to “wishing you to enlarge your wealth”, and is a phrase meaning prosperity and success. Xin Nian Kuai Le (pronounced shin-nian-kwy-ler) simply means “happy new year”. Gift-giving is a major part of the celebrations, but there’s also a minefield of superstitions to overcome when selecting the right present. With the colours of flowers and wrapping, red is by far the safest option. White, black and sometimes yellow can be associated with death, mourning or other negative connotations. The number four is considered unlucky in Chinese culture because it sounds like the word for ‘death’, while the number eight is extremely lucky because it sounds like ‘wealth’. Whenever in doubt, try to give something that involves eights, especially with simple gifts like premium chocolates. While this list is by no means exhaustive, also avoid giving watches (time is running out), pears, handkerchiefs, umbrellas or sharp objects even if ceremonial in nature (all representative of separation). A safe option is usually some quality Australian produce such as chocolates, cookies, teas or wines. The redder the packaging, the better! In terms of gifting, watch is actually ok (especially if it's swiss-made top-shelf ones) in some regions of China (e.g. Shanghai and surrounding regions). But clock, on the other hand, is definitely a No-No, under any circumstances (the phrase of 'giving clocks' is similar to sending one to grave). Also apple is to be avoided too in some area as the name in Chinese sounds similar to 'sick fruit'. No apple or pear. Instead, orange and peach are welcome. Please greet people in Hong Kong and Macau and Southern China in Cantonese as Kung Hei Fat Choi as we do not accept Mandarin. Do not "accept" Mandarin? Sounds exaggerated.. People in those regions would definitely understand the Mandarin version, but I'd agree for more brownie points, say it in Cantonese. Being a little pedantic here, but four in Mandarin does not sound exactly like "death". It has a different tone, but the spelling is the same. We always book our domestic flight between Shenzhen to Chongqing (2hr flight) no later than early/mid December each year. There are no discounts (300AUD each way economy). But if you leave it like now you either fly in the evening or pay 1200 AUD each way. Some routes it is extremely cheap as well or quiet. TPE-HKG has nearly zero traffic before Chinese New Year. I remember sitting in a business class cabin with 24 seats and there were only 3/4 passengers. But HKG -TPE is a nightmare with planes going out full. Smart business travellers may consider travelling to China or Taiwan (from Australia) during the 1st,2nd or 3rd day of Chinese New Year as these days for Chinese are unlucky/bad to travel and must stay at home or be with relatives. Also don't consider taking the highspeed trains during Chinese New Year. That is even in more demand than taking the plane. Don't gift shoes because it sounds like groaning in chinese. And don't forget the 'red packets' for your team members - especially those younger than you! Comment on "Chinese New Year 2019: our guide for business travellers"